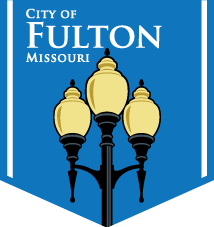 The City of Fulton Purchasing Department strives to buy the best quality products for the lowest possible cost to the city. The department maintains an inventory of supplies, fills the needs of each department when items are needed without overstocking, and becomes informed when new products are available and delivers the information to all departments. To become knowledgeable of new products available and to keep all departments informed of information received. To work with all departments in obtaining information needed for bid specifications and purchases. To receive, deliver and /or notify departments of shipments arriving as quickly as possible upon there arrival. As a whole to serve the departments of the City of Fulton. The Purchasing Department provides centralized control over the procurement of materials, equipment and services for all departments, offices and agencies of the city. Purchasing is responsible for setting standards and specifications for items to be purchased, advertising and tabulation of bids, assisting departments in obtaining contracts for services, preparation and issuance of purchase orders, materials management, and supervising the transfer or disposal of all surplus materials, supplies, and equipment.